Stanley Picker Gallery is delighted to welcome back members of the Welmede Artist’s Collective, along with their friends from The Grange, to develop new art and design works inspired by the gallery’s current, two-part exhibition programme P!CKER. Outcomes will be showcased onsite in the Stanley Picker Gallery Lobby 6 December 2016, 4-7pm. The newly formed Welmede Grange Collective is comprised of emerging talents from across the borough, participating in association with Welmede – a person-centred housing and support organisation, passionate about supporting people with disabilities to pursue their chosen lifestyle. The artists presenting First Editions enlisted in a programme of gallery-based workshop programme as part of ‘Your Time’, Welmede’s social and leisure activity service, overseen by fellow artist Kasia Majorek. During the programme, with workshops tailored to meet the interests and requirements of individuals, the up and coming creatives have been learning about and experimenting with different approaches to graphic design, and exploring notions of curation. 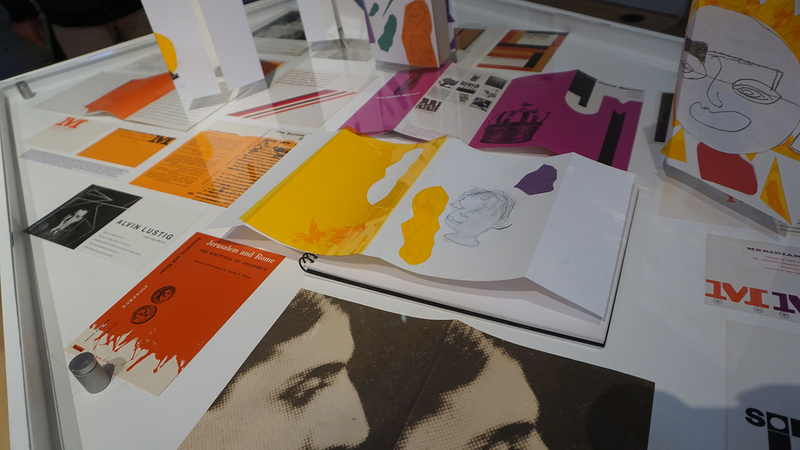 Outcomes to date have included re-designed contemporary artworks and publications, and some striking dust jacket proposals inspired by the early works of Elaine Lustig Cohen which were displayed in P!CKER part 1: Looking Backward to Look Forward. Making will continue in December when the artists visit P!CKER part 2, Celine Condorelli’s Prologue. The Gallery team have again been impressed by all, and hope that you will enjoy a browse of their bookshelf.